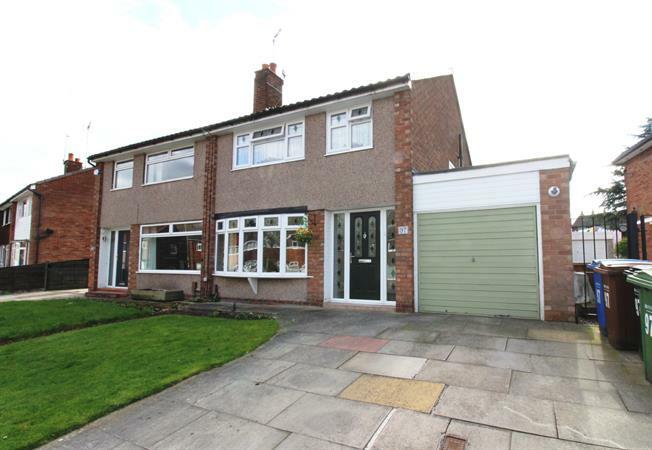 3 Bedroom Semi Detached House For Sale in Cheadle for Offers Over £310,000. Immaculately presented three bedroom semi detached home with extension and newly added conservatory. This property comprises of hallway, bright open lounge, dining room, newly fitted conservatory, extended large kitchen with plenty of storage, three good sized bedrooms - master with fitted wardrobes and new family bathroom with separate WC. The property has been fitted with new carpets, new boiler, new windows and has been rewired. Externally to the rear the property boasts large well maintained garden.